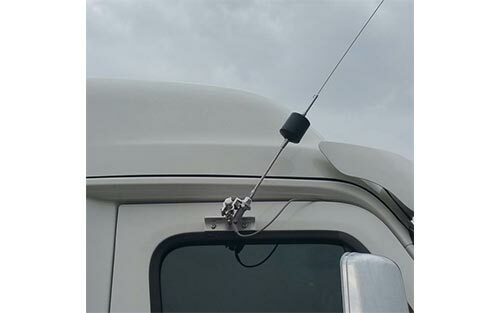 Finally a heavy duty antenna mount for the Freightliner Cascadia -- passenger's side spot mirror location. This hand-crafted mount is designed and built by hand in the USA and is designed for any antennna you want to mount to your Freightliner Cascadia. 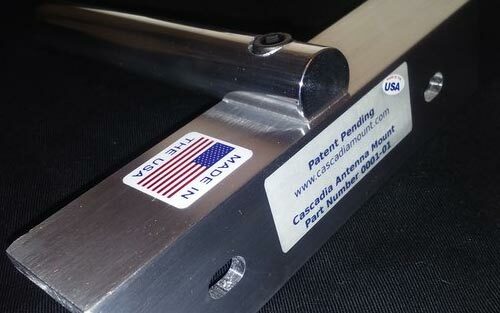 Using polished 6061 solid aluminum 7/8" diameter tubing securely bolted onto 3/16 angle aluminum. This is a mount that is designed to last and not break! Single post antenna mount for Freightliner Cascadia 2008 to 2017. Attaches to the truck using the two (2) existing threaded holes above the passenger side door. * NO DRILLING REQUIRED ! Can be used for mounting a Satellite Radio antenna (such as Sirius / SiriusXM). 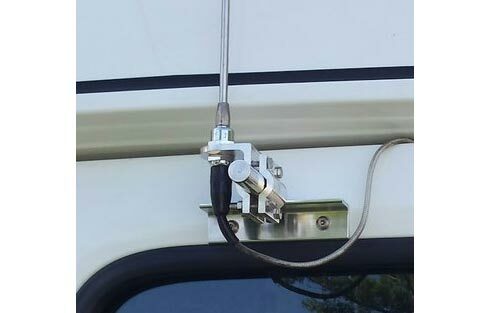 Can be used for mounting a CB antenna, Ham Radio antenna, AM/FM radio antenna, mobile TV antenna etc. 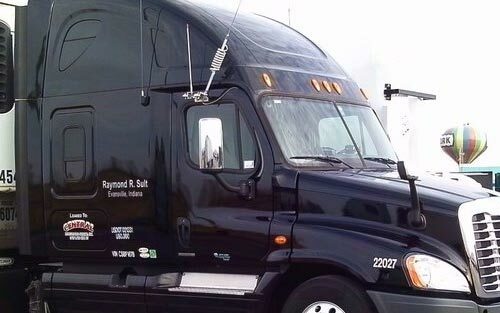 When attached to the Freightliner Cascadia at the top of the passenger side door (as intended) this mount allows the antenna to achieve its best performance by getting the antenna up above the mass of the cab. Better CB performance by lowering SWR. Crafted by hand by the good folks over at Custom Antenna Mounts, the quality and craftsmanship is what you would expect out of an American engineered and built product. 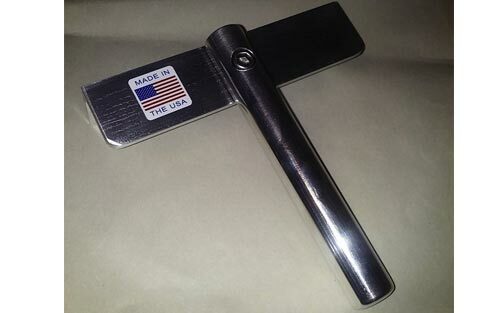 High grade 6061 polished aluminum, cut and shaped by hand in the USA.